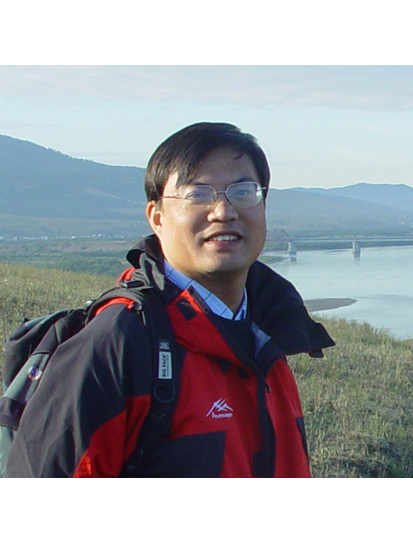 Research Professor for the Late Cenozoic mammalian fossils, terrestrial deposits, and environmental changes at Institute of Vertebrate Paleontology and Paleoanthropology, Chinese Academy of Sciences. Li Z H, Clarke J A, Zhou Z H, Deng T, 2016. A new Old World vulture from the Late Miocene of China sheds light on Neogene shifts in the past diversity and distribution of the Gypaetinae. The Auk, 133: 615-625. Deng T (author), Chen Y (illustrator), 2015. Chinese Neogene Rhnoceroses. Shanghai: Shanghai Scientific and Technical Publishers. 1-154. Wang X M, Li Q, Qiu Z D, Xie G P, Wang B Y, Qiu Z X, Tseng Z J, Takeuchi G T, Deng T, 2013. Neogene mammalian biostratigraphy and geochronology of the Tibetan Plateau. In: Wang X M, Flynn L J, Fortelius M (eds). Fossil Mammals of Asia: Neogene Biostratigraphy and Chronology. New York: Columbia University Press. 274-292. Zhang Z Q, Deng T, Qiu Z D, 2006. Evolutionary process of Neogene fossil mammals in China. In: Rong J Y (ed). Originations, Radiations and Biodiversity Changes: Evidences from the Chinese Fossil Record. Beijing: Science Press. 757-768. Zhang H Y, Xue X X, Deng T, Li C L, Chen M Q, Zhang X F, 2001. A preliminary examination and study of the stone artifacts from the Longyabeidong Site in Luonan County, Shaanxi. Archaeology, (11): 51-59. Deng T, Xue X X, 1999. Chinese Fossil Horses of Equus and Their Environment. Beijing: China Ocean Press. 1-158. Dong J S, Wang Y, Amundson A, Deng T, 1999. Habitat signals in the carbon isotopic composition of tooth enamel phosphate from Pleistocene herbivores. In: Wang Y Q, Deng T (eds). Proceedings of the Seventh Annual Meeting of the Chinese Society of Vertebrate Paleontology. Beijing: China Ocean Press. 211-218.